Think your home is in top shape to sell? Not so fast. There are several surprising hazards an inspector can uncover that are enough to make prospective buyers run. NEW YORK (MainStreet) -- Think your home is in top shape to sell? Not so fast. There are several unexpected hazards a home inspector can uncover that are enough to make prospective buyers run. Some are literally hidden from view; others sellers simply miss. 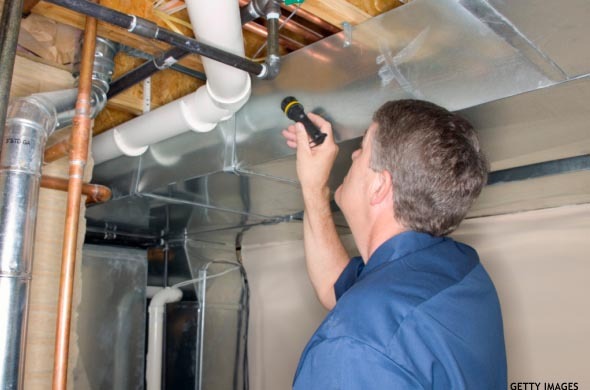 To catch these problems before it’s too late, consider hiring a professional to conduct a home inspection before putting your house on the market. In fact, having your home pre-inspected could save you money in the long run. A home that is listed as pre-inspected might also provide a marketing advantage, adds Elizabeth Mendenhall, vice president and liaison to committees for the National Association of Realtors and CEO of RE/MAX Boone Realty in Columbia, Mo. That’s because prospective buyers are given a sense of security knowing that major problems have already been taken care of and won’t cost them a fortune down the line. Read on for eight potential deal-breakers to check for, plus tips on how to fix them. When it comes to mold, it’s the yuck factor that often turns buyers off. “Some people can tell if there’s mold in a house just by smelling it, while others are bothered by mold because it looks bad,” says Gromicko. But mold also has the potential to cause health problems. According to the Environmental Protection Agency, mold can cause allergic reactions such as sneezing, runny nose, red eyes and skin rash, and can also trigger asthma attacks. Luckily, you can usually clean up mold yourself with some common household products. 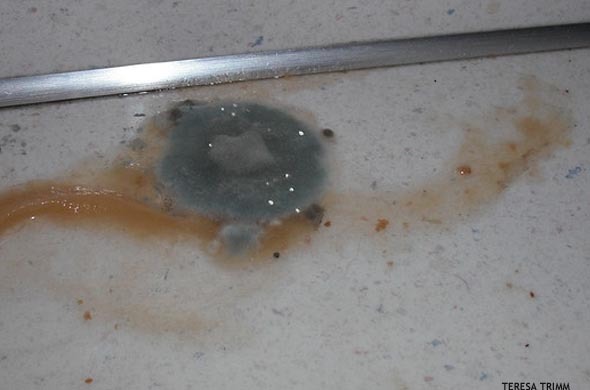 The CDC recommends scrubbing mold off hard surfaces with soap and water, or a bleach solution of no more than 1 cup of bleach in 1 gallon of water. However, absorbent or porous materials, such as ceiling tiles and carpets, may have to be thrown away if they become moldy. Of course, don’t forget to fix plumbing leaks or other water problems too, or the mold is likely to come back. 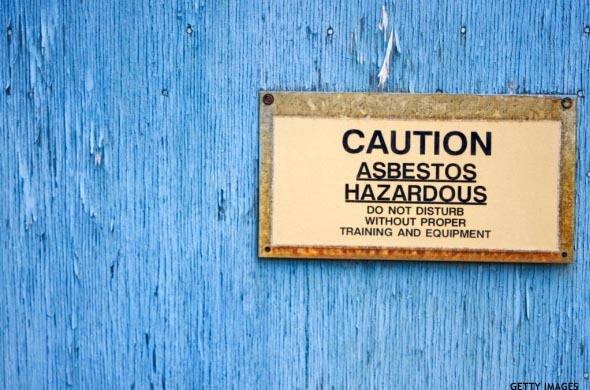 Asbestos can be dangerous and even deadly when its microscopic fibers are inhaled, increasing your risk of developing such serious illnesses as lung cancer, mesothelioma (a cancer found in the thin lining of the lung, chest, abdomen and heart) and asbestosis, a non-cancerous disease of the lungs. Don’t panic, though – danger only occurs when asbestos-containing materials are damaged or disturbed (such as through a remodeling job) and released into the air. Still, it’s a good idea to have your home tested for asbestos. If the inspector determines that the asbestos is a problem, or if you simply don’t want to risk scaring off potential buyers, you can either repair it, which involves sealing or covering asbestos material, or you can remove it, which is the more expensive option that also poses the greatest risk of fiber release, according to the EPA. Either way, the EPA advises that you hire professionals who are trained, experienced, reputable and accredited – especially if accreditation is required by state or local laws. 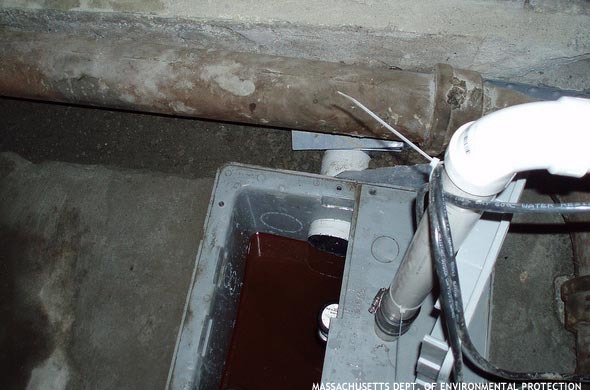 Underground oil tanks can be a real red flag to prospective buyers due to their potential to leak and contaminate groundwater. Because leaky oil tanks can cost thousands of dollars to fix, and insurance companies often do not provide coverage, buyers won’t want to have to shoulder that cost down the line. Sellers should also know that even if there is an underground oil tank on your property that is not in use, it still might have oil inside it, says Gromicko. Consider getting the oil tank on your property removed to increase your chances of selling. If your home still relies on oil for heat, have a new oil tank installed safely above ground. Was your home built before the late 1970s? If so, there’s a good chance it might contain lead-based paint, according to the EPA, since it wasn’t until 1978 that the government banned lead-based paint from being used in homes. You can get lead in your body by breathing or swallowing lead dust, or by eating soil or paint chips containing lead (a risk for small children). 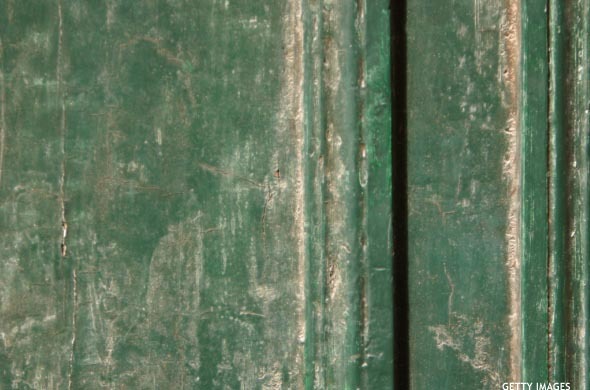 Lead paint can scare away potential buyers because of its connection to a variety of maladies, including behavioral and learning problems in kids, reproductive problems, high blood pressure and memory and concentration problems. By law, homeowners must disclose known information on lead-based paint and lead-based paint hazards before selling a house, and sales contracts must include a disclosure form about lead-based paint, according to the EPA. To take care of your lead paint problem, unfortunately you can’t just paint over it. Instead, you must hire a certified lead “abatement” contractor who can remove, seal or enclose lead-based paint with special materials. To find a certified contractor, contact the The National Lead Information Center. Fix handrails that are loose, incomplete or splintery. 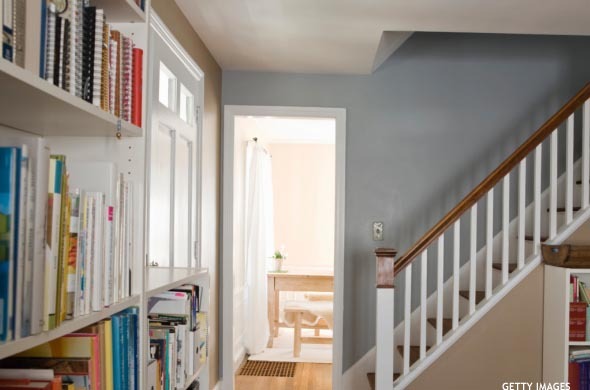 Install a light switch at the top and bottom of each staircase. Fix risers of uneven height. Exterior steps should be sloped to prevent water settlement and icing. Carpeting should be firmly affixed to stairs. You’ve heard about the dangers of carbon monoxide, but have you had your house tested for radon? “A lot of homes have this, and it’s about as invisible and hidden as you can get,” says Gromicko of this extremely toxic, colorless gas that comes from the natural decay of uranium from soil in the ground. According to the EPA, exposure to radon in the home is responsible for an estimated 20,000 lung cancer deaths each year, and is the number-one cause of lung cancer among non-smokers. You can test radon levels yourself with an inexpensive testing kit available at home improvement stores, such as the Kidde Radon Gas Test Kit for $15 at Lowe’s. 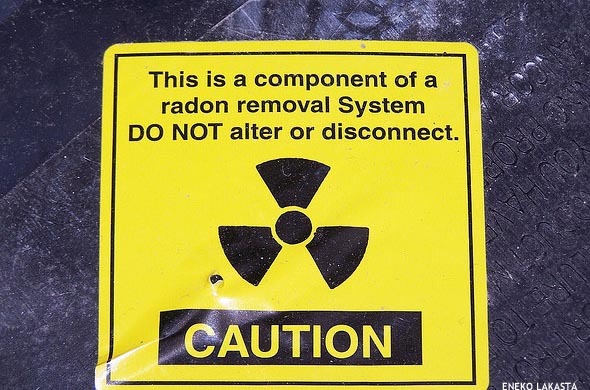 If your home is found to have unsafe radon levels (4 picocuries per liter in air or higher, says the EPA), you can hire a radon mitigation contractor to take care of the problem. One common technique contractors use is soil suction, which prevents radon from entering your home by drawing the radon from below the home and venting it through a pipe to the air above the home where it is quickly diluted. Who could forget the hilarious scene in National Lampoon’s Christmas Vacation where the hapless Clark Griswold wakes up early to sneak presents for his family into the attic, only to get smacked in the face by the attic’s collapsible pull-down ladder. The truth is, though, attics can be a dangerous place in real life, too. When it comes to attic ladders, the problem is often that homeowners install the ladders themselves without adhering to safety standards. If you’re preparing for a home sale, be sure to take certain precautions, says Gromicko, such as tightening all nuts and bolts and fixing any cracked steps. You can also consider replacing an old, rickety wooden ladder with a new, aluminum model as well. 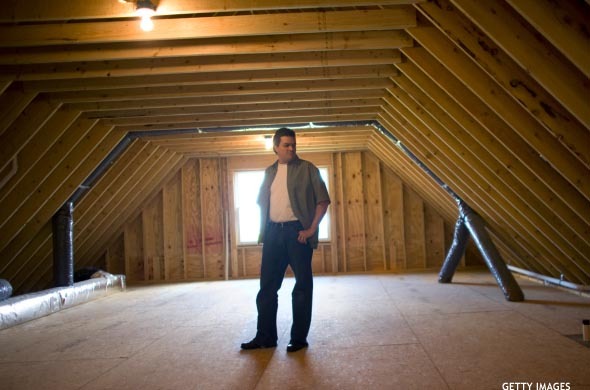 Improper attic ventilation is also a cause for concern for home inspectors. Houses that are not properly ventilated cause a variety of problems, including rapid shingle deterioration on the roof, wood rot and mold buildup on the exterior of the home, as well as high temperatures throughout the living spaces in the summer. To keep your attic well-ventilated, Gromicko suggests using special vents (such as roof, gable and ridge vents) or an attic fan. “Homeowners often don’t notice them, but tree branches that hang over your house can cause a lot of damage during storms,” warns Gromicko. 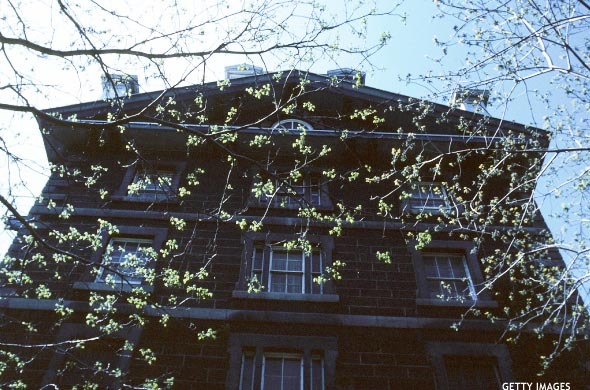 Indeed, this was a tough lesson learned by many homeowners in the Northeast during an early snowfall in late October, as the weight of the snow snapped many tree limbs onto roofs and power lines. Be sure to hire a professional tree service to remove any tree branches that dangle over your home before showing your home to buyers.